first class dining experiences from its members. There are lots of happy customers who’ve been munching on signature dishes using the likes of Cookstown bacon and Quinfresh vegetables. Restaurants who join are regularly and rigorously examined . There are now 26 in the Circle and many are family owned. 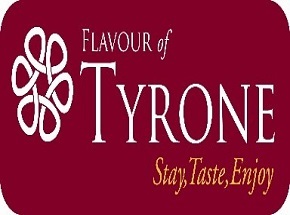 From this Flavour of Tyrone developed a County Tyrone food trail highlighting the approved Good Food Circle Restaurants, key local food producers such as Cloughbane, Fivemiletown Creamery, farmers markets, farm shops and main visitor attractions as well as increasing visibility of the food sector in the County. What a great idea!